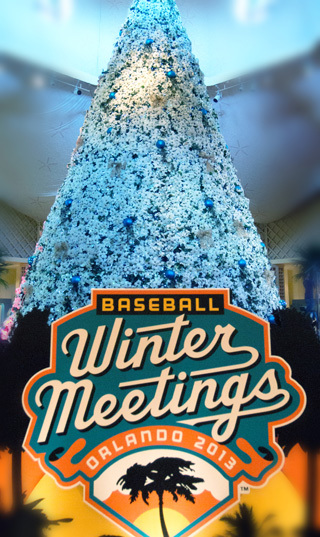 The annual Baseball Winter Meetings are the largest gathering of baseball executives and business partners in the world. 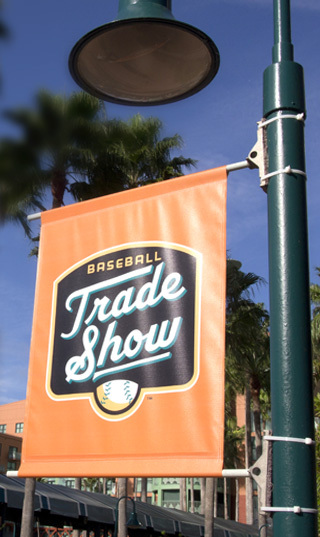 All 30 Major League Baseball organizations are represented, as are the more than 160 Minor League Baseball teams, trade show exhibitors, and job seekers. The 2013 edition—held at the Walt Disney World Swan and Dolphin Resort in Orlando, Florida—was the 112th such assembly. 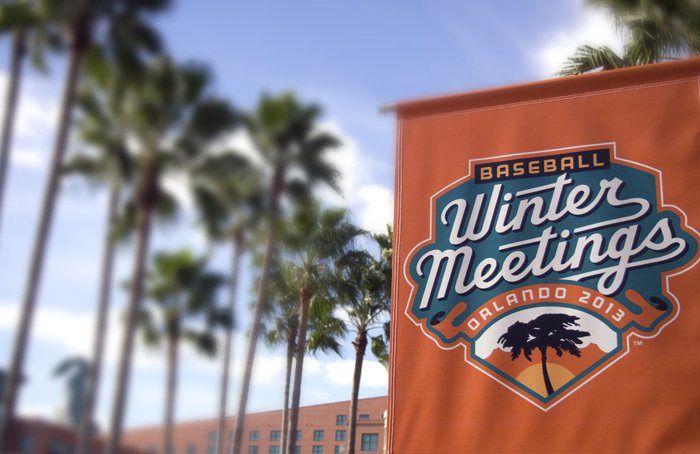 Working with my friends at Minor League Baseball, I developed an extensive brand identity system and graphics package for the event, including marks for the Baseball Winter Meetings, the PBEO Job Fair and the Baseball Trade Show. Branding the event went well beyond the creation of a series of logos. 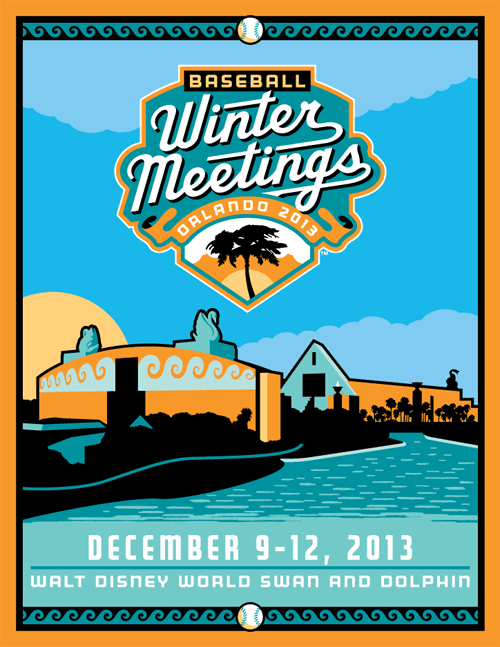 A defined style guide helped make the look of the Baseball Winter Meetings impactful and memorable. In addition to on-site environmental graphics and extensive usage of the branding via social media, many hundreds of combined hours of live media reporting ensured maximum exposure for the artwork. 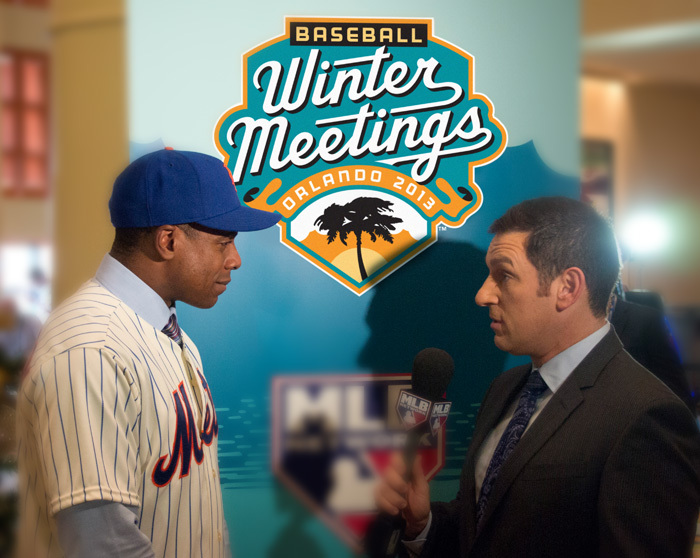 Live multi-platform media coverage by MLB Network and ESPN resulted in millions of visual impressions in just a few short days. Vacating New York for Florida for a few days in December is always a good thing for me, but it was a productive trip too. On December 9, I gave a presentation to the Bob Freitas Business Seminar & Workshop Series— "Baseball By Design: Looking at the National Pastime Beyond the Brand"—a one hour discussion in which I explored the rich visual culture of baseball, focusing on the romance and magic of baseball logos, uniforms, and ephemera, from the 19th century right up to the present time. It's always an instructive exercise for a designer to see a sweeping brand identity in action, and this was no exception. 85º and sunny in the beginning of December was pretty good too.